The Red Sox’s offense is downright scary. Does that make them an unbeatable team? Of course not. Like anyone else in the sport, they are flawed. But on a given night, can an opponent expose those flaws while keeping the league’s highest-scoring lineup to, say, four runs or less? That will not be an easy task. David Price is starting to return to form, even if no one in Beantown feels secure about his playoff track record. To beat Boston, you better bring your bats and a plethora of arms. One good starting pitcher, or two good relievers, won’t get the job done. It will take a village in Big Papi’s swan song season. And on that note, couldn’t you just see another heroic playoff moment from him to cap it all off? Joaquin Benoit, now with Toronto, hopes he doesn’t experience deja vu. Who they match up well with: INDIANS. And that could work out nicely, because if Boston wins the east, that’s likely who they will face. The Sox are 4-2 against Cleveland, with a 31-18 run differential. Who they could struggle with: TIGERS. Yes, believe it or not, Detroit might present a problem. The Sox are 2-5 against the Tigers, including four one-run losses. The Tigers have a shaky bullpen, but the notion of facing Justin Verlander and a loaded lineup in a one-game wild card playoff might be a bit unnerving. What has happened to the Blue Jays? They used to own the Yankees of late, but just got swept in the Bronx. The Jays have suddenly dropped six of eight, and it’s fair to wonder if their overachieving rotation can keep things up. The bullpen has been bad all year and that is starting to manifest itself. The offense better get it cranking in a hurry with the Sox coming to town this weekend. Last year, the team was on a roll playing with house money. Perhaps expectations are weighing the Jays down. Or maybe they are in a coincidental, collective funk. We will find out in the next three days. Who they match up well with: ORIOLES. The Orioles never play well at Rogers Centre, and the Jays have mashed Baltimore pitching in recent years. It seems Toronto is able to expose Baltimore’s major weakness – starting pitching – better than most teams. Who they could struggle with: INDIANS. The Blue Jays always struggle with the scrappy-type teams (see: 2015 Royals), and Cleveland is just that. With Andrew Miller now in the bullpen mix, the Indians have fixed one of their areas of need. I would stop let’s stop talking about the Orioles’ starting pitching woes, but then what would experts have to complain about? Yes, the Orioles starting pitching is not very good. But it’s far from “terrible,” as it has been labeled, and there are so many examples of teams that have won playoff series despite inferior rotations (see: almost every year the Braves made the playoffs in the 90’s/2000’s, 2011 Cardinals over the Phillies, 2014 Orioles over the Tigers). Baltimore’s offense is a bit too reliant on the home run ball, but man, is that home run ball some kind of weapon. The bullpen has been very good even in Darren O’Day’s absence, and the most underappreciated facet of baseball, defense, is excellent. The Orioles don’t quit, and even if their pitching catches up to them, I expect them to hang around to the end. Who they match up well with: INDIANS. For some reason, the disparity in starting pitching between the clubs hasn’t shown up in the six meetings between the teams. Baltimore has won five of them, and seems to be able to shut down Cleveland’s power hitters. Who they could struggle with: BLUE JAYS. No question, the O’s would rather face Boston. Baltimore has not been intimidated by the Beasts of the East, the Yanks and Sox, but has historically struggled with the Jays, especially in Toronto. How in the world are they doing it? If you never believed in Yankees mystique before, this might just be the proof in the pudding. Despite trading away most of their big guns — Andrew Miller, Aroldis Chapman, Carlos Beltran, Ivan Nova — the Yankees are hot right now and just 2 1/2 games out of a wild card spot. GM Brian Cashman deserves a ton of credit, realizing the young talent they already had and the talent they could acquire, and the youthful exuberance is shining through in the Bronx right now. Don’t count the Yankees out. Who they match up well with: RED SOX. Between the rivalry and the “playing with house money” aspect, they could stun Boston in a possible wild card game or even a series. David Price has always had some trouble with the Yanks, and perhaps some Yankees haven’t forgotten about the 2004 ALCS debacle. Who they could struggle with: BLUE JAYS. Despite this week’s sweep, the Jays have had the Yankees’ number of late, and Toronto’s offense, when clicking, could highlight the Yankees’ much-less-potent lineup. The Indians are good, but they always might be lucky and riding this wave of Cleveland magic started by the Cavaliers breaking the city’s 52-year title drought. It was at that time that the Tribe went on a 14-game winning streak, but this team has its flaws. The starting pitching can be very good, and adding Miller is a major plus. But offensively this team has relied a lot of home runs, and gotten contributions from unexpected sources. It’s possible the team’s rotation, with the likes of Corey Kluber, Danny Salazar, and Trevor Bauer, could carry them through a postseason series, but can the team keeping pulling rabbits out of hats late in games? Who they match up well with: TIGERS. It seems like the Indians have dominated the Tigers in recent years, and obviously this year at 11-1. Cleveland always gives Detroit trouble because of its starting pitching and the offense’s ability to get to Justin Verlander. That would bode well in a playoff matchup. The Tigers could be a dangerous team. The lineup is about as good as any in the league, and Verlander seems to be back to his old self. But that beleaguered bullpen, even with the ageless Francisco Rodriguez having a terrific year, is a real problem. The starting pitching will have to be even better than it is to protect the bullpen. The lineup has benefitted from a recent surge from big free-agent signing Justin Upton. Who they match up well with: YANKEES. It’s easy to say the Yankees would be a favorable playoff matchup given the fact that the Tigers have beaten them three times in the playoffs in the past decade. That would give any team confidence, especially against the seemingly-once-invincible-in-October Bronx Bombers. Who they could struggle with: INDIANS. The lack of head-to-head success in recent years is no fluke. The lineup seems to struggle against Cleveland’s top rotation arms. And just about everyone struggles against Miller. The defending AL West champs look locked and loaded to make another deep run as they did in 2010 and 2011. The healthy return of Colby Lewis to a rotation led by Cole Hamels and Yu Darvish makes them even better, and the offense is potent. Even more so now with the additions via trade of Carlos Beltran and Jonathan Lucroy. The bullpen is the Achilles’ heel, but somehow the team has gone 30-9 in one-run games despite nine — NINE! — walk-off losses. This team has a chance, especially with the AL having homefield advantage, to claim its first-ever World Series title. Who they match up well with: INDIANS. Texas, as mentioned above, is 5-2 against Cleveland, and setting its rotation to match Cleveland’s would neutralize the Tribe’s biggest strength. Who they could struggle with: RED SOX. The teams split their six meetings this year, but there would be legitimate concern with Texas’ mediocre bullpen trying to close out games at Fenway Park in October. Rangers fans got a horrifying look first-hand on June 24, when Texas squandered a three-run lead with two outs in the ninth with Matt Bush on the mound in Arlington. Who they match up well with: ORIOLES. The Orioles simply can’t beat AL West teams this year, and the Astros set a Major League record for strikeouts in a three-game series while sweeping the Birds back in May. Who they could struggle with: RED SOX. Like the Rangers, the Astros’ bullpen has already proven it would have trouble with Boston. The starting pitching deficiency between the two teams would really hamper the ‘Stros, as well. Just how much can we trust this team? They are 40-18 against the weak NL East, and the franchise has never won a postseason series. That includes an absolute gutwrencher in the 2012 NLDS against the Cardinals. The fragility of Stephen Strasburg is a major concern, as is the lack of depth in the bullpen despite the addition of closer Mark Melancon at the trade deadline. This team would need a lot to go right in October to shake off its postseason demons. Who they match up well with: METS. Should the Mets get in, maybe the Nats would like to face them. The Giants and Cardinals have too much guts and guile, not to mention previous playoff success against Washington, for the Nats to handle. The Mets are hampered by some key injuries, and Max Scherzer has always done well against New York. Who they could struggle with: GIANTS. Because no one wants to face the Giants in October, this seems like a cop-out answer. But the Nats might be too fragile mentally to handle Madison Bumgarner and the Giants’ newly-built aura. The Mets are hot right now despite being very banged up. Noah Syndergaard would have to carry the rotation with Matt Harvey done for the year and the uncertain returns of Jacob deGrom and Steven Matz. Thankfully, Yoenis Cespedes is back to doing Yoenis Cespedes things, and the Cards and Giants are leaving the door open for the Mets to nab one of the wild card spots. Who they match up well with: CUBS. It’s hard to say anyone really matches up well with the Cubs, but the Mets swept them in the NLCS last year, and then swept them in four games at Citi Field in early July this year. Who they could struggle with: CARDINALS. Though they’ve split their six meetings this year, Jeurys Familia has always struggled mightily against the Cards. Not only did they snap his 52-straight-saves streak on July 27, they hung two blown saves on him last year, as well. It also doesn’t help that deGrom was lit up by St. Louis in his previous start against them. Does it feel like a mirage with the Cubs a little bit? The cursed franchise that hasn’t won it all since 1908 is suddenly the odds-on favorite to win it all? The Cubs’ rotation is excellent, but will it continue that way in October? The offense is still not a great unit in situational at-bats, and the bullpen is also a question mark. The Cubs got insanely hot late in 2015 and haven’t stopped, but is it just that — they’re hot? There is much to prove for the young Cubbies come October against the top dogs in the NL. Fortunately, Jon Lester is in vintage form, and Kyle Hendricks has emerged as a Cy Young candidate… as the team’s No. 4 starter. Not too shabby. Who they match up well with: NATIONALS. The Cubs’ lack of playoff success is not rivaled by many teams, but the Nationals are a rare exception. Chicago swept four from the Nats in May and match up well with them. Who they could struggle with: CARDINALS. Yes, the team that the Cubs knocked off despite a 100-win season in 2015 would pose problems. That’s because the Cardinals have baseball’s best road mark at 43-28, including a 5-2 record at Wrigley Field. The Cubs’ shaky bullpen could be exposed by St. Louis’ powerful lineup, as has been the case on several occasions this year. It’s hard to really get a good feel for this Cardinals team. They lead the NL in home runs, and have already set a Major League record with 15 pinch-hit home runs. They are the best road team in baseball at 43-28, yet have the game’s fifth-worst home mark at 30-37. The Cardinals are nursing some injuries like most teams, but the bullpen seems somewhat worn down and the starting pitching is a shell of its 2015 self. All that said, this is not a team anyone wants to play in October. Except for maybe the Giants, of course. Who they match up well with: METS. The Cardinals seem to have Jeurys Familia’s number, a great equalizer if the Mets’ starting pitching rounds back into form. Who they could struggle with: GIANTS. I’ve said this about the New England Patriots, and I’ll say it about the Cardinals: the key to beating the Cardinals is… beating the Cardinals. And the Giants have done that three times (2002, 2012, 2014). They simply aren’t intimidated by the Cardinals, and Madison Bumgarner could set them straight in a one-game wild card playoff, which is looking more likely by the day now. The Dodgers have come on like gangbusters since Clayton Kershaw’s injury, and now he’s back. Winning at such a high rate without him could serve this talented team well. 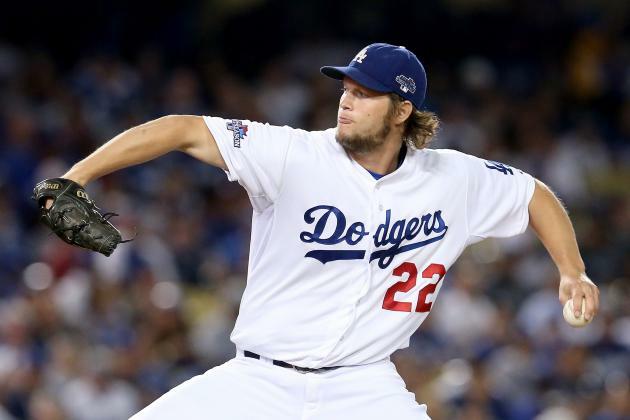 The rotation has question marks, even with a healthy Kershaw, as does the bullpen. But this team just keeps finding a way, and the lineup is underratedly one of the best in baseball. At some point, this team needs to break past the NLCS barrier and win the pennant. Getting over the hump is critical, but if either one of the Giants or Cardinals knock the other out, that would be a big start. And the Dodgers have fared decently against the Cubs this year, going 3-4. The moxie the club has shown under first-year skipper Dave Roberts gives Dodgers fans hope that this year could be different. Who they match up well with: NATIONALS. The Dodgers are 5-1 against the Nats, and would be facing a team with even more playoff baggage than itself in recent years. Who they could struggle with: CARDINALS. The Dodgers’ history against the Cardinals has not been good in October, especially in the NLCS. The Cardinals have a similarly potent lineup, and the mental roadblock could be Los Angeles’ undoing yet again. It’s an even-numbered year, but suddenly the Giants are barely mediocre in the second half after posting baseball’s best mark (57-33) in the first half. 17-32 since the All-Star break, Bruce Bochy’s bunch has plenty of talent and experience, so it’s just a matter of the Giants getting in at this point. But the bullpen isn’t what it once was, which was the glue and unsung hero of the franchise’s three title-winning teams. That is cause for concern come October. Who they match up well with: DODGERS. These teams, remarkably, have never met in the playoffs in the L.A.-San Fran era, but the Giants have always had success against the Dodgers in recent years. That is true even with the Dodgers winning three straight NL West titles, and they always give Kershaw fits (as much as any team can, at least). Who they could struggle with: CUBS. The Giants might look at the Cubs and see a similar group to themselves, a young and hungry team with something to prove. San Francisco is 3-4 against the Cubs this year, but doesn’t seem to match up with the Cubs’ stout rotation. Be the first to comment on "We still know very little about anything as MLB hits its stretch run"